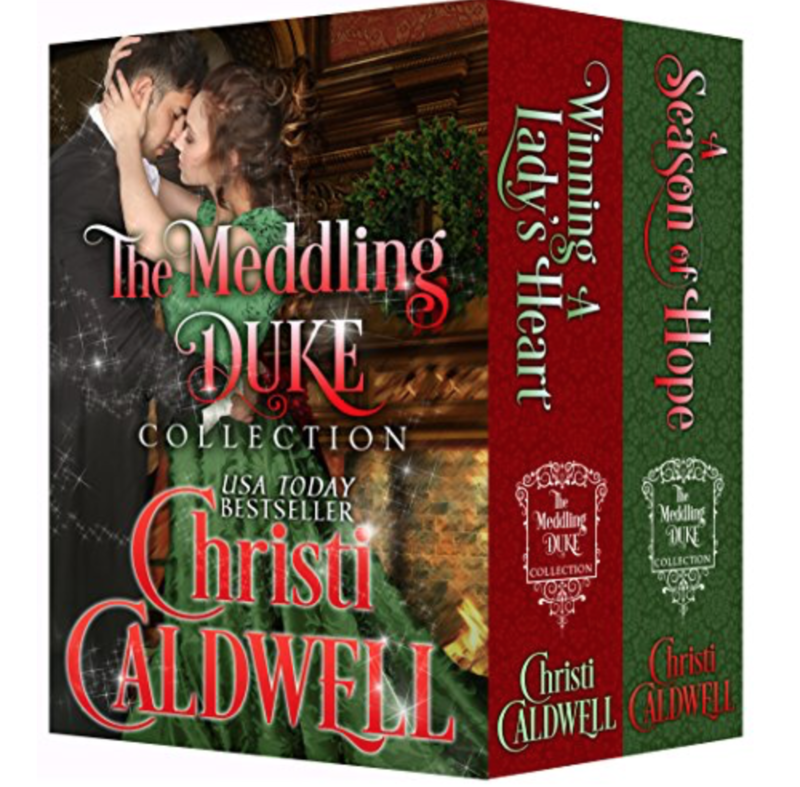 In "The Meddling Duke", His Grace, the Duke of Danby is up to his holiday matchmaking meddling with his two unwed granddaughters! These two novellas are previously published Danby novellas. Winning a Lady's Heart was previously published in "A Summons From The Castle". For Lady Alexandra, being the source of a cold, calculated wager is bad enough...but when it is waged by Nathaniel Michael Winters, 5th Earl of Pembroke, the man she's in love with, it results in a broken heart, the scandal of the season, and a summons from her grandfather--the Duke of Danby. To escape Society's gossip, she hurries to her meeting with the duke, determined to put memories of the earl far behind. Except the duke has other plans for Alexandra...plans which include the 5th Earl of Pembroke! Olivia receives a well-timed summons from her grandfather, the Duke of Danby, and eagerly embraces the reprieve from her betrothal. Only, when Olivia arrives at Danby Castle, she realizes the Christmas season is a time of hope, second chances, and even miracles.